For many years Marcia Pompeo has been Indra’s voice in Brazil. To complement Marcia’s work in Brazil, she has asked us to welcome her friend and colleague, Marina Coutinho from the State University of Rio de Janeiro, into the Indra network. Marina’s work has a deep resonance with the mission of Indra and we look forward to collaborating with her. Marina has been visiting the UK on academic work and I went to meet her at fellow Indra Director Tim Prentki’s home, where she was staying. The work and activities of Indra members around the world are shaped by context and the stories and experiences within that context. This is a guiding principle for Indra groups and Marina’s work is no exception. With the election of the right-wing extremist Jair Bolsonaro as President, Brazil is entering a very unpredictable and dangerous period in its history. 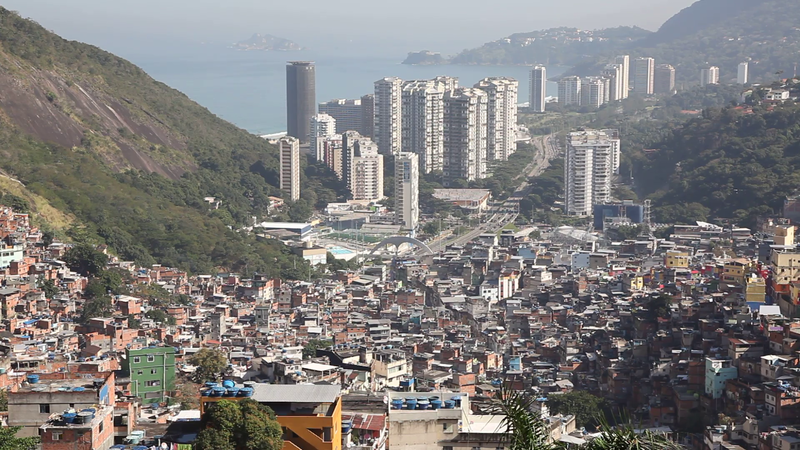 I travelled to Brazil in 1990 and I was struck then by the extraordinary juxtaposition of sophisticated shopping malls, up market hotels and gated condominiums for the wealthy, with nearby, sometimes in close proximity, appallingly deprived favelas – informal, traditionally low-income areas virtually neglected by the state regarding public amenities and services. Some favelas were controlled by drug traffickers with ongoing gun battles with the police, which itself was infected with corruption. Under more moderate governance there was an aspiration to address these issues but now, under Bolsonaro, the situation could get much worse with gun de-regulation, even further widening of the gap between wealth and poverty, the targeting of political and social activists and discrimination in a range of ugly forms. To the outsider the image of the favela is a largely negative one; they are portrayed as needy, dysfunctional and dangerous. However, the truth is more complex. The favelas in Rio are also the source of extraordinary vibrant, resourceful and creative communities and activity. Marina works at the Federal University of the State of Rio de Janeiro on their teacher training programme. There are three strands to her work; teaching, research and what are called extension programmes. Extension programmes seek to link the University to the outside world and Marina’s work is an excellent example of this principle in practice. Marina’s department has strong links with the complex of Maré, a grouping of 16 favelas with a population of approximately 130,000. Despite its violent reputation to the outside world, Maré contains a large Arts Centre, which is home to a dance company and school of dance, receives professional theatre groups and several creative initiatives from the local community in diverse art forms. 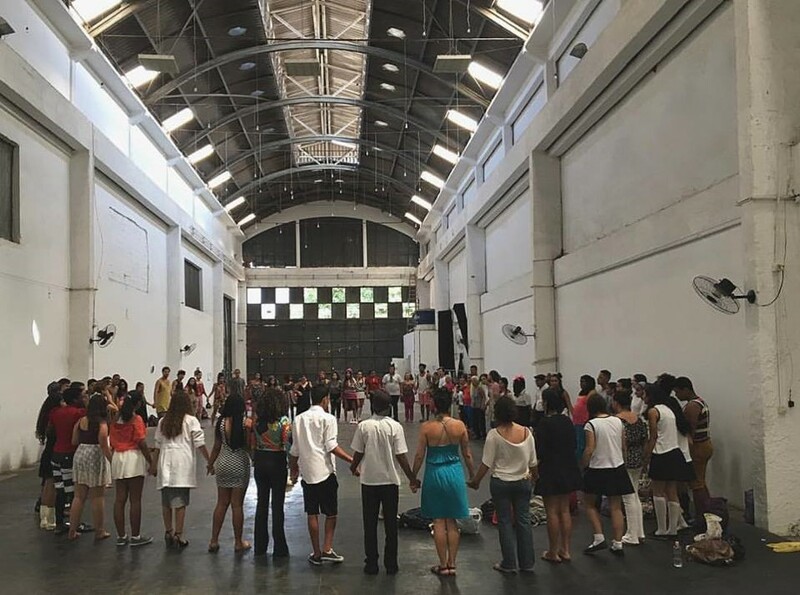 Marina and her colleagues have created a dynamic process in which students from the University initiate creative projects in Maré, which in turn inspires young people from the favela to attend the university, which then feeds back into the Maré community with further projects. 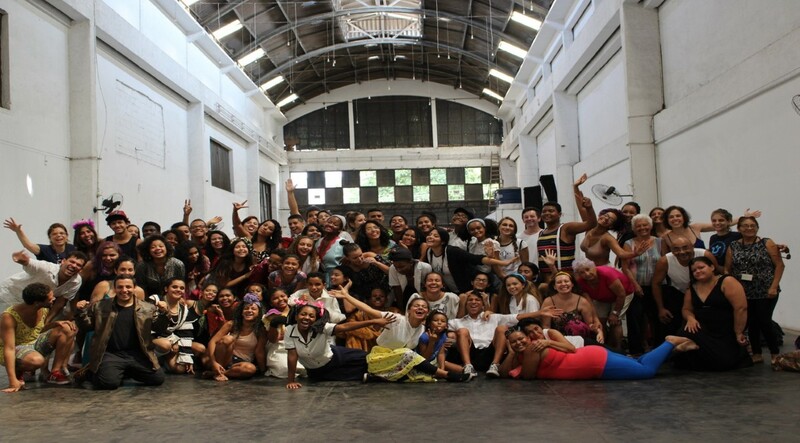 The programme, ‘Theatre in Communities’ (http://teatroemcomunidades.com.br/ ) plays an important role in breaking barriers across social and institutional divides. The driving energy behind this work is a belief that the practice of theatre can create an alternative space, a different world in which people feel safe and free to be the subject of their own lives rather than the objects of others’ less benevolent, more oppressive and manipulating whims. We warmly welcome Marina into the Indra family and look forward to the inspiring dialogue that could take place between herself, her participants and students with the other ‘pearls and jewels’ worldwide that make up the net of Indra.